Hi and welcome to this week’s edition of Thrifty Thursday, where I share my weekly thrift store/yard sale/flea market finds! This week was somewhat slow in the thrifting department- I only managed to go twice this week, though Phillip got out a little bit more. I’ve been focusing on working on the blog in my spare time the last couple of weeks (check out my new archive pages!) so thrifting has temporarily been put on the back burner while I get all of that stuff worked out. I’ll be debuting my redesign next week! Despite that, we did still manage to find a few gems! 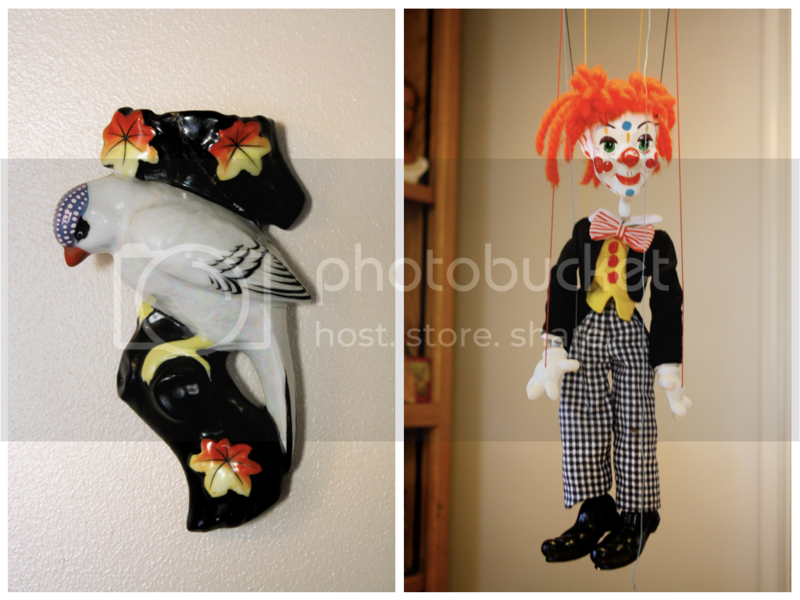 Up top is a bird wall planter and a clown marionette by Pellham, and below is a grape-leaf platter set. 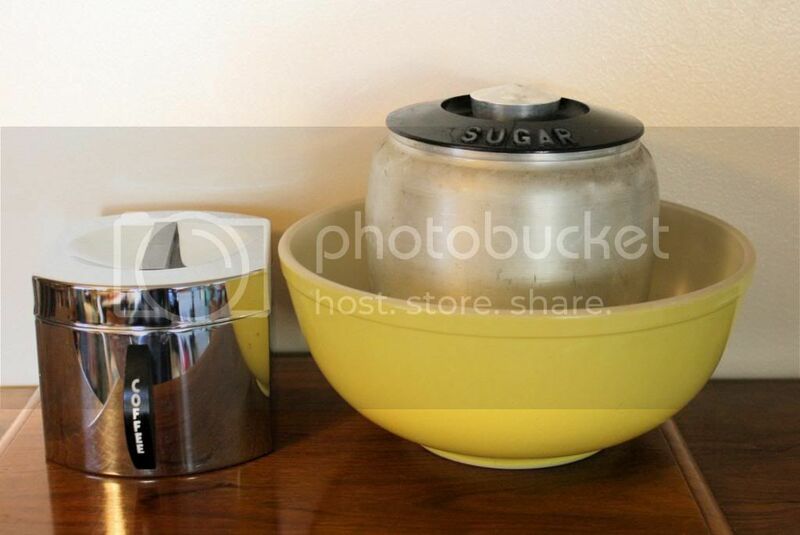 Phillip found these two kitchen canisters (the coffee one is in great shape!) and a large yellow Pyrex bowl. They’re all headed for the antique space. 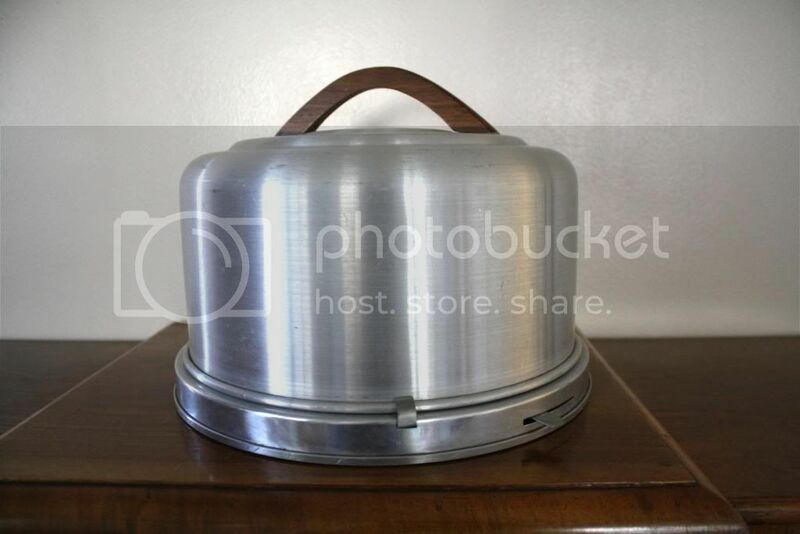 This cake carrier is the only thing that I found this week- everything else is Phillip’s finds. 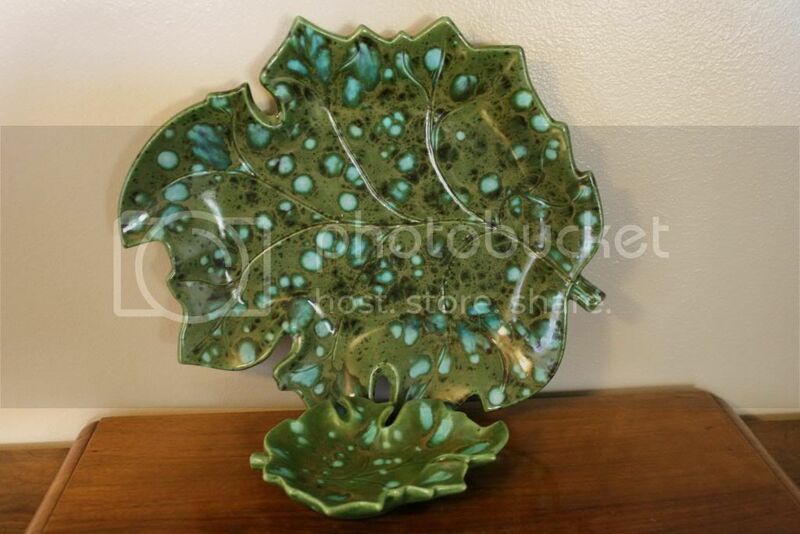 I think it would sell in the space for sure, but I’m wondering if I should keep it just because it’s so useful! 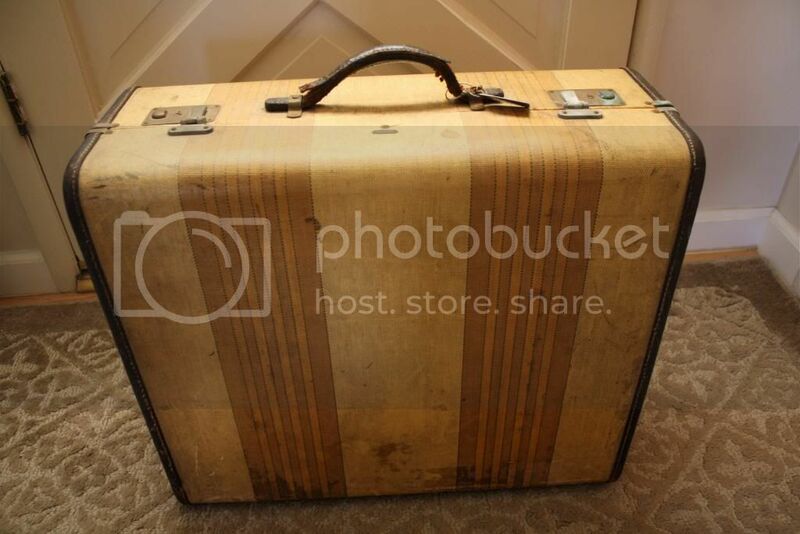 This suitcase is so cool! 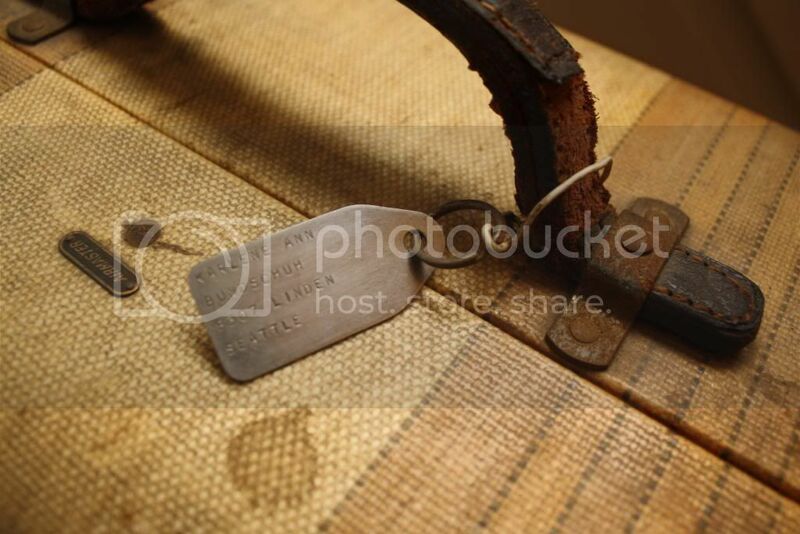 I love how it still has the original owner’s stamped metal luggage tag. Thanks for stopping by! 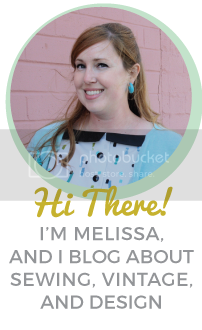 I’ll be linking up at Apron Thrift Girl, A Living Space, Sir Thrift A Lot, and Joyful Treasure Hunting.Head on over and check out everyone’s finds for this week!